We all have that one phone number, our home telephone number we have had for years, the one given out to doctors, schools, clubs, friends and most importantly, family. It is the central hub for many families and that number is one many people are unwilling to part with. Traditional call forwarding is a service which enables a single person in your home to receive calls coming through to your home telephone number when you are away. For travelling individuals and families on the go, call forwarding was a way to stay connected. We commonly hear people say, “my home phone provider can do that!”. While OurOldNumber.com has a few similarities to traditional call forwarding, there are an array of differences that make OurOldNumber.com a better choice. What if I told you that you could keep your important home number, eliminate your landline bill and never miss a call again? Intrigued? Here are the reasons why OurOldNumber.com is the best way to stay connected. With OurOldNumber.com, when someone makes a call to your home phone number, the caller is greeted with a friendly recording (recorded by you) and is prompted to choose which member of the household they would like to reach (i.e. press “1 for Bob”, “2 for Sally”, etc.) The call is then forwarded to that individual’s cell phone. With traditional call forwarding, the caller does not have the ability to choose and is only connected with the one person specified when the call forwarding is set up through the home phone service provider. OurOldNumber.com gives you the ability to connect up to nine lines. That’s enough for you, your spouse and the kids! 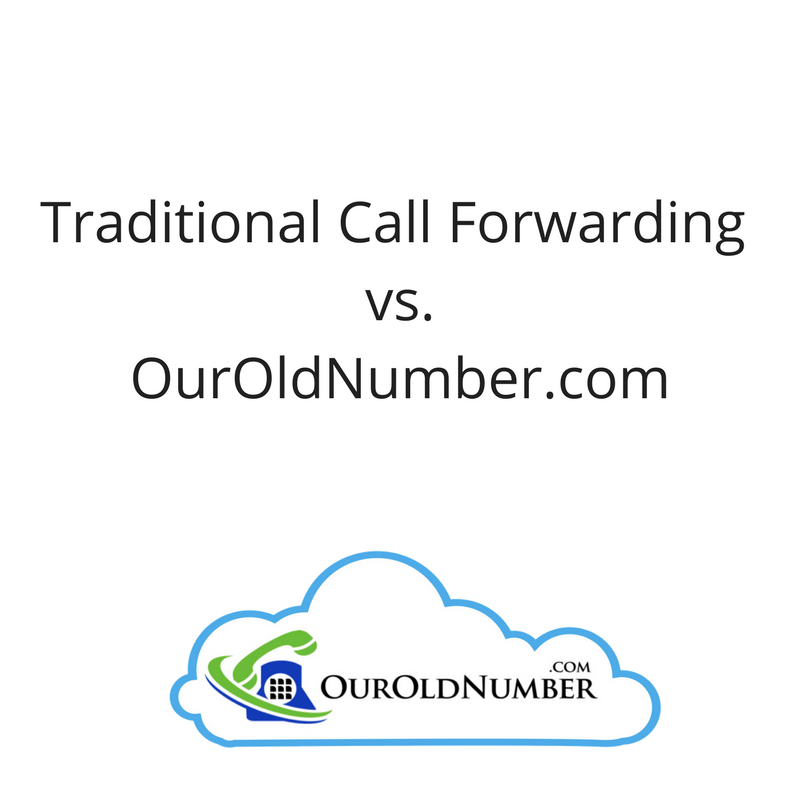 Traditional call forwarding only allows you to forward to one number. There are some services that allow you to choose more than one number, but when a call goes through to the home number, all the numbers assigned to call forwarding will ring at the same time and the caller is not guaranteed to reach the person they are calling for! OurOldNumber.com offers monthly service for $9.99 and does not require a contract. Traditional landline services cost, on average, $32.72 per month with added charges for call forwarding. Many of our customers are saving over $20.00 each month by eliminating their landline service while keeping their important home telephone number. Because OurOldNumber.com uses our network and your cell phone to keep you connected, there is no special equipment to purchase, install or maintain, internet is not even required. Traditional call forwarding is a service provided by your home phone carrier and therefore requires you to maintain your landline service as well as the physical telephones in your home. OurOldNumber.com is easy to set up. One you have set it up, that’s all there is to do! You no longer need to be bothered with calling the telephone company or jumping online to start or discontinue forwarding. With traditional call forwarding, the service has to be turned on and off as needed which is just one more thing to add to your to do list! As an added bonus, with OurOldNumber.com, most sales calls are effectively blocked. So called “Robo” sales calls are unable to make a selection and will hang up. Live telemarketers are paid to talk to a live person and will usually move on when they hear a recorded greeting. With traditional forwarding, the telemarketer will still get through! So what are you waiting for? Experience the freedom of staying connected with OurOldNumber.com!